Hello Kitty, What the Hell Did You Do to Sonic the Hedgehog? Skinned him alive, I guess! Sega and Sanrio are teaming up for for some Kitty-related goodies. 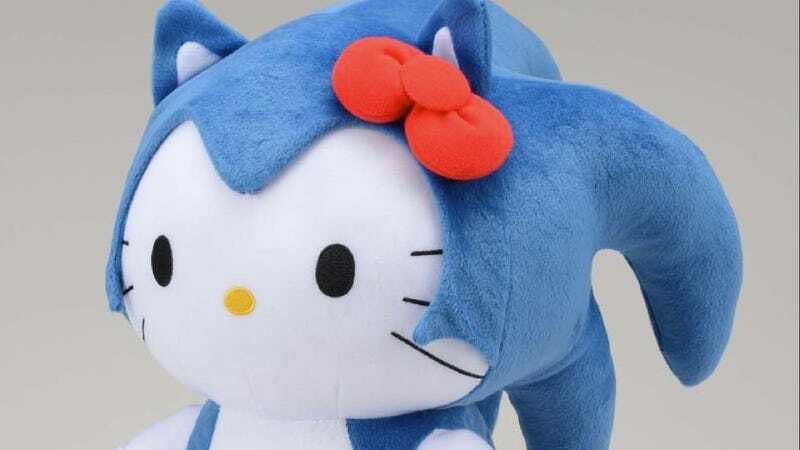 First up, this Sonic x Hello Kitty plush toy, which will be available at Sega arcades and amusement centers in Japan.